Stop by Today to See our Inventory of Beautiful Jewelry! 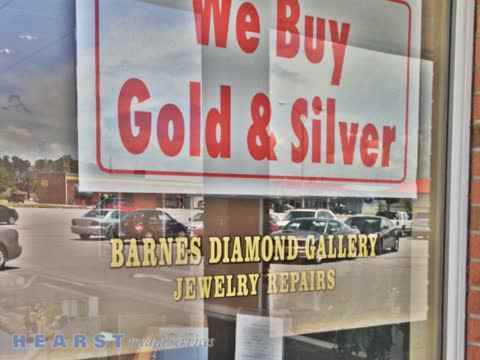 Barnes Diamond Gallery was established in 1982 and has seen three generations of family jewelers who have served Jacksonville, NC. We offer beautiful gold and silver jewelry, watches and more so that you have the perfect gift for that special someone. If you’re looking for a unique and beautiful engagement ring, we can provide a wide selection for you to choose from. James (Butch) Carter is an expert jeweler who can help you with all of your jewelry needs. He can custom design incredible gifts for your loved ones. 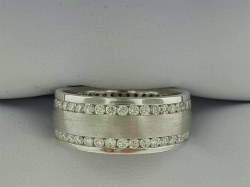 Whether you want to design something new or re-design your old jewelry into something new, Butch has the experience and knowledge to create something customized to your tastes. He can even repair the jewelry you never thought you could wear again. 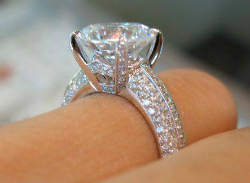 Everything is done in-house so you know we value your precious jewelry because it never leaves the store. 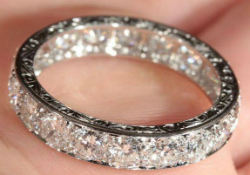 We are your trusted jewelers for all of your repair and custom jewelry needs. Barnes Diamond Gallery has been family-owned for years. We’ve raised our grandchildren in the store; our granddaughter, Lindsay Jarman, has worked in the store since she was thirteen years old! We’ve won the Readers’ Choice Award for 6 years. Do you have unwanted silver and gold jewelry? We pay top market prices for your unwanted valuables. You never have to worry that we’ll take your jewelry out of the store for appraisal because we have the technology and resources to appraise it in-house!